Los precios de los productos y la disponibilidad son correctos a fecha 2019-04-20 17:15:07 BST, pero pueden cambiar. La información de disponibilidad y el precio correctos serán los que se mostrarán en http://www.amazon.es/ cuando finalice la compra. Consigue de forma segura, rápida y al mejor precio el fantástico Eureka! - 2 En el Globo, la Tierra y la Constelación de la Luz con sensor (importado de Inglaterra) de Brainstorm. 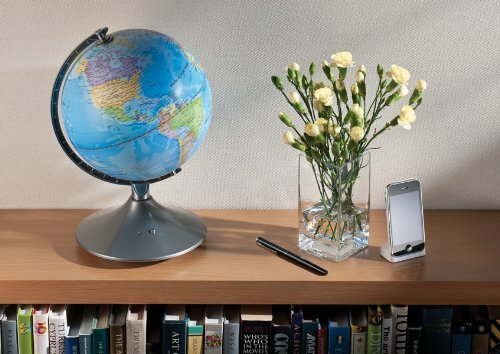 Why buy two globes when you can buy this unique dual functioning globe. 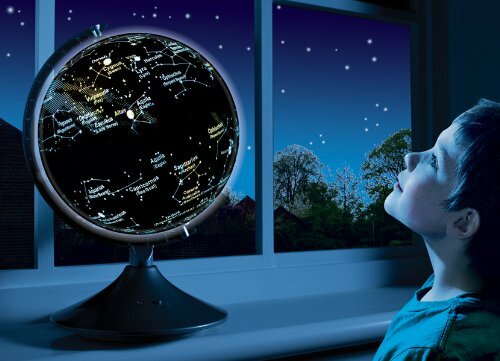 The Earth and Constellation Globe has a day-time and night- time view and is in fact two globes in one. In the daylight the 22.8cm diameter globe shows political boundaries, oceans, equator, longitude and latitude lines, country names, capital cities and other major cities for each country in the world. 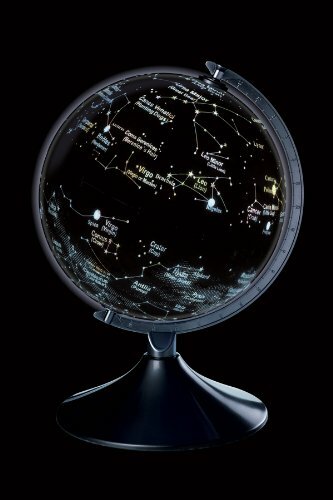 By night the illuminated star map shows constellations with their common names.The Earth and Constellation Globe has an automatic light sensor so when the globe is turned on and the surrounding area is dark the globe will transform into a beautiful glowing globe showing the star constellations. There is also a handy override switch which allows you to turn off the night-time view and thus conserve battery power. You can also purchase an electrical adaptor separately (not included) that you can plug into the globe and power it off mains electrics. 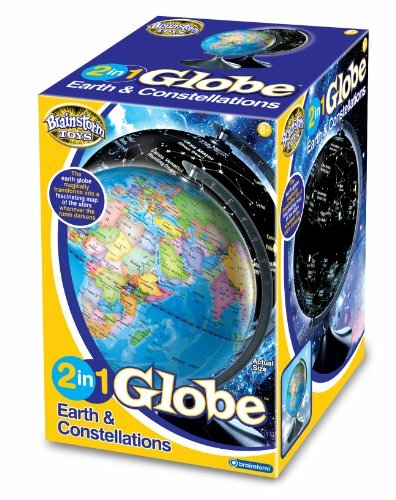 Each box contains a specification to enable you to purchase such an adaptor.The Earth and Constellation Globe is a great learning tool for geographers and astronomers but also a great feature for any bedroom, living room or study. 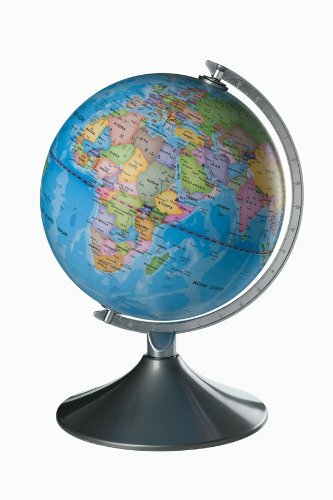 A truly unique globe.Brainstorm Toys is a range of fun, educational and interactive toys that brings together a host of fascinating items. The aim of Brainstorm Toys branded products is to entertain children but also to inspire them to learn more about their environment.